How cheap is Hiland Light? It’s so cheap that even I think it’s nasty. And seriously, at $4.99 for a 20 pack, Hiland Light may be the cheapest beer I’ve ever had. I’m pretty sure the last time I bought Meister Brau it was at least $2.89 for a sixer, and that was in the ‘90s. 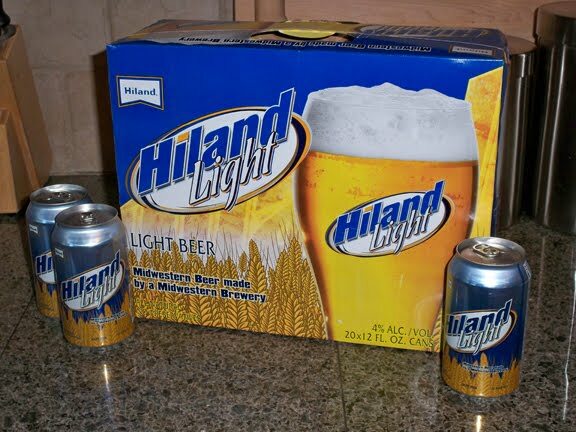 I found Hiland Light at the Missouri Lukas Liquor. They had a few small sample glasses out, and it tasted fine enough to bring home for a trial run as the cheap beer of the house -- after all, at 25 cents per can compared to 48 cents for a Natural Light (case of 24 for $11.49), that’s a savings of $4.60. Or in other terms, about three Taco Bell Beefy 5-Layer Burritos.